By kshotts, September 10, 2007 in Plugins - Publishing ONLY! * Added "Use Selection to Render Glitter" option that lets you specify exactly where you want an individual piece of glitter. If no selection, then the glitter fills the image. Along with this option comes the X/Y/Size adjustment parameters that let you adjust the position and size of this rendered glitter (it's really hard to get the selection exactly centered over the point desired). Note: this option uses the primary color - NOT the pixel in the center of the selection. * Re-ordered sliders a bit; threshold/probability go together. * Vary Size According to Pixel is now "Adjust Size According to Intensity"
* The effect is now a single-threaded effect due to the previous point - lots of hacks going on to allow the "panic" STOP button. * Enjoy & Have Fun! * Seed gets the new slider control too, so you can randomly pick a seed, as well as select a specific seed. * Changed "Brightness" to "Intensity"
Found under Render --> Glitter (replaces my previous Glitter plugin, so if you prefer that version, make a backup before downloading! ), this plugin lets you generate glowing spheres, diamonds, and flares, with lots and lots of parameters (as evidenced in the above screenshot). Shape: Determines the shape of the glitter. Available shapes are circle, diamond, and two kinds of flares. Threshold: As always, specifies the minimum value of any pixel (in R,G, or B, or A overall) before further processing occurs. Minimum Size: Minimum size of the glitter. NOTE: If these two values are different, the system will generate a glitter with a random size between the minimum and the maximum. The only way to generate glitter of a consistent size is to make the two values equal. Probability: For each pixel that is going to be processed, this is the probability it will be processed. For images with LOTS of pixels that'll be processed, use a low probability (like .010); for an image with only a few pixels that will be processed, use a high probability (like 20). Brightness: Adjusts the brightness of the glitter, up to four times. Blend Mode: Determines the type of blending used when rendering the glitter. Available modes: Overwrite, Add, Subtract, Multiply, and Average. "ADD" produces some of the best results, though "Ovewrite" can generate very cool results when using Circle shapes and large sizes (resulting image is similar to molecules... very cool). Subtract works best on bright content (otherwise the glitter isn't very visible). Multiply doesn't do a whole lot at the moment... and average does an average between the area and the glitter, not sure what this can be used for. Seed: Determines the random # seed. Assuming the probability and the threshold aren't changed, you can modify brightness and other options without changing the arrangement of glitter by keeping this number the same. Process Center Pixel: if checked, the center pixel is processed. This means that it is blended with itself. If the blend mode is Add or Subtract or Multiply, then the pixel is modified (Add produces a brighter pixel). Sometimes desirable, sometimes not. Vary Size Based On Value: This varies the size of the glitter based upon the value of the pixel being processed (i.e., a bright pixel produces a brighter piece of glitter). If not checked, the glitter varies between Minimum size and Maximum size irregardless of value. Important Note: Since some options can consume significant CPU time (if lots of glitter ends up being drawn), this plugin comes with a safety: it only renders if "Preview" is checked, or when "OK" is pressed. While this won't stop the plugin from consuming a lot of CPU with bad settings, it does at least prevent just accessing the plugin for the first time on any image from nuking the CPU. For this reason, Preview does not save its state - it must be checked each time it is used to enable real-time updates. I'm calling flaRe the circle and flaKe the star. The effect is in the submenu Distort. __Brightness Threshold (20,255, default=100) increase the value to select only the brightest pixels. __Maximum Glitter Size (0,200, default=50) maximum (if random checked) radius. __Glitter Possibility (0,100, default=20) Possibility (0=none, 100=all) for a bright pixel to receive a glitter. __Flare/Flake ratio (0,100, default=50) 0=only flares, 100=only flakes, other=ratio between flares & flakes. __Flake normal/invert ratio (0,100, default=50) 0=only normals, 100=only inverts. Normals are brighter in the center. __Flare normal/invert ratio (0,100, default=50) 0=only normals, 100=only inverts. Normals are brighter in the center. __Flake number of vertices (0,400, default=8) Quantity of vertices for the flake (star). __Flare number of vertices (0,400, default=0) Quantity of rays to draw for the flare (0=perfect circle). 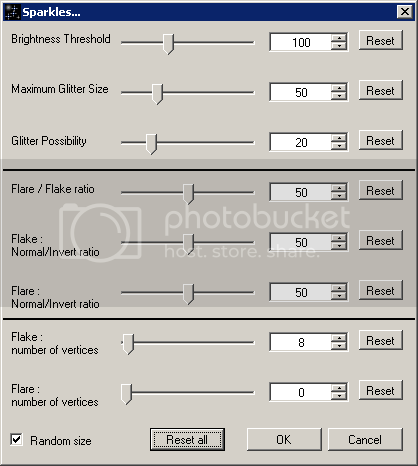 __Random size (default=checked) if checked all glitters have a random radius up to the selected maximum size. Else they all have the same size to the maximum. __The glitters are created from the top-left corner to the bottom-right corner. The last one overwrites the first one. __A spot with a small radius is made with several pixels and each pixel of the spot could receive a glitter. each pixel is considered as bright the CPU will do tons of calculation! Created two new plugins: Stars and Glitter. Sparkle Stars: Located under Render -> Stars, is a lot like Add Noise, except that it is a little more suited to sparse starfields, IMO. The controls are a little wonky, yeah, but the default settings should give a pretty good example. I'd suggest having your primary color be white and fill the background black to see anything of interest... haven't tried it with other settings... should be interesting tho! "Star Probability" indicates how likely any pixel is to become a star; 1000 is equivalent to 10%. "Intensity" affects how bright the resulting stars are; the higher the number the lower the brightness; 1500 seems to do a decent job. "Saturation" indicates whether the stars can have color or not; 255 = lots of color, 0 = grayscale. Sparkle Glitter has three settings: "Brightness Threshold" (default 200) selects only pixels with a value (in R, G, or B channel) greater than the threshold. (It also expects Alpha to be greater than threshold). "Maximum Glitter Size" (default 100) indicates how large the glitter can become. However this doesn't mean every glitter placed on the image will be this size - there's a lot of randomness going on underneath so that the glitter can be anything from 0 (none) to the full size. "Glitter Possibility" is the change that any pixel that meets the threshold requirements will become a glitter pixel. Keep this low images with lots of pixels that would satisfy this requirement... and by low, I mean between 5 and 15. On smaller images with fewer pixels this can go up much higher, but the small values work best on large images. The default is 5. Just remember: for best performance of Glitter, keep the threshold high, the glitter size reasonable (especially if you intend to process a lot of pixels over the threshold) and keep the possibility low (within 5-15). Brightness Threshold (0-255): This parameter indicates what level of brightness should be used as the trigger to cause the effect. Pixels with a brightness (in any channel, in addition to requiring the Alpha channel to be at least this level) higher than the value indicated will be processed and those that are not will be left alone (although potentially blended into the glow/flare from another high-value pixel). Note that the lower this value, the more pixels will be picked up and blended, resulting in lower brightness overall. Maximum Flare Size (0-100): This controls the size of the flare/glow. The larger this size, the slower the plugin runs... 5-10 are decent values, anything larger takes a LONG time. Also note that the number of high-level pixels within range of the current pixel will dictate the brightness of the flare (more means less bright). Brightness (0-100): This is a simple multiplier; it multiples the final result by the value specified. A value of two doubles the brightness, etc. The brightness is capped at white, so there should not be any odd colored pixels if the brightness is pushed to far, only a very white image. Neither is perfect, granted, and it's pretty slow. But it's version 1, and it worked for what I wanted it to do, which was give a little ambience to a starfield. Nice effect, thank you. Working well. But, OK, it is NOT super fast. As cool as this looks...it is running waaaaaaayy too slowly on my machine to be any sort of use. :? Perhaps if you posted the source code someone would be able to help you out...? the threshold are left untouched, though they may be blended into the remaining result. on high values, but much more tolerable! Ill download this after it gets a performance boost. I only work with large images now. It looks great, and I see myself using this for some future stuff, but I hate waiting. Yes! I ever dreamt of such plugins! I hope you will play more with codelab. Suggestion: You should make the edges softer. Just some kind of blurring or feathering. At the moment it doesn't look that natural. :wink: Maybe I use the wrong settings, but it is still too slow for me to test every possible setting. And the glow is nice. Very cool plugin! This will help a lot with starfields. The only bad thing is, as you said, the slow rendering with large pictures. For the beginning it is already good. If there is any way to make it reffering to the layer down the current one, this would be the solution. 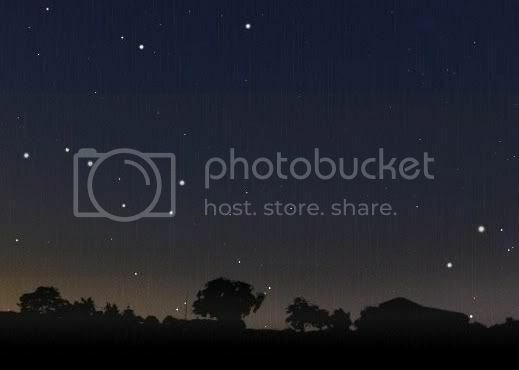 It would render the stars and so on (in my mind on a transparent layer on top of the picture) and you could just to the blur manually, and this would remove all ugly edges. I have no idea if this is possible.. :? BTW, shouldn't these plugins go to render? In my eyes they don't distort the image, they render something new... I don't know and to be honest it doesn't mind in which submenu they are. Maybe you should remove the exclammation marks. They just don't fit into the UI (this is my personal opinion). Also it would be nice if someone with professional knowledge of coding would spend a little time with the source, speedups would be a great improvement. Please add these to the 1st post. So it's easier for users to find all info & links. 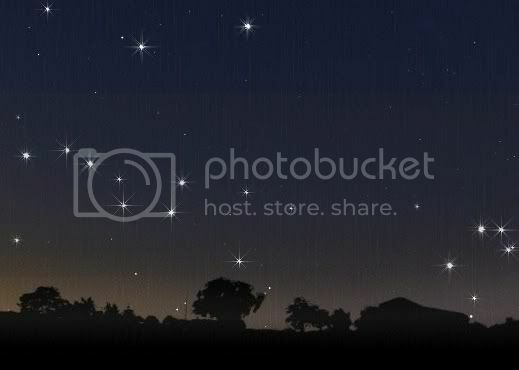 Stars doesn't work, it starts on the top maybe 10% of the image and renders the rest of the image black. I used default, I tried black background with white color, it seems to be random, it only worked once, other times it did the following, randomly placing the lines and stopping randomly. The Glitter plugin is gorgeous! One suggestion: "Stars" should be renamed to "Starfield". There is already a stars plugin (in render) and "starfield" would express the intention of the plugin in a better way I think. And not to forget: Thanks! You are invited to do so as I can't compile it with codelab when it has more than 3 sliders :wink: . 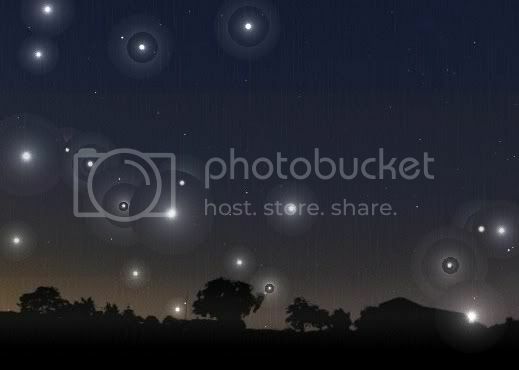 Have you integrated the stars from your lens flare attempts? This would definately be nice!